Working with leading design agency 20.20, and main contractors Portview, Principle has once again helped to transform a key hospitality area for Premier League football club Arsenal. Located in the Clock End of the stadium, ‘Dial Square’ has been refurbished for the 2018/19 season. 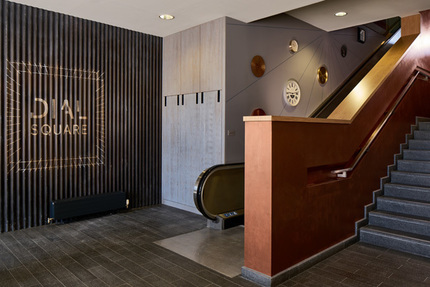 Named after the Woolwich Arsenal Armament Factory's football team, which was formed in 1886, this new informal space has an industrial spirit that centres around a social courtyard, inviting fans to arrive early to the stadium and immerse themselves in the matchday build up. Principle’s role in the transformation included the specification and prototyping of signage and graphic products in various materials / techniques; manufacture of bespoke oak frames; illuminated signage and ghost signs applied to brickwork, corrugated metal, tiles and walls; laser cut cannons; printing directly onto oak table tops; and a lot of signwriting! In fact three sign writers were engaged on site for nearly three weeks to complete all the traditional signwriting elements. The Principle team have worked alongside 20.20, Portview and Arsenal since 2010, and have previously completed projects for The Club Level, The Royal Oak, Upper and Lower Concourses, The Academy Training Ground and The Hub. 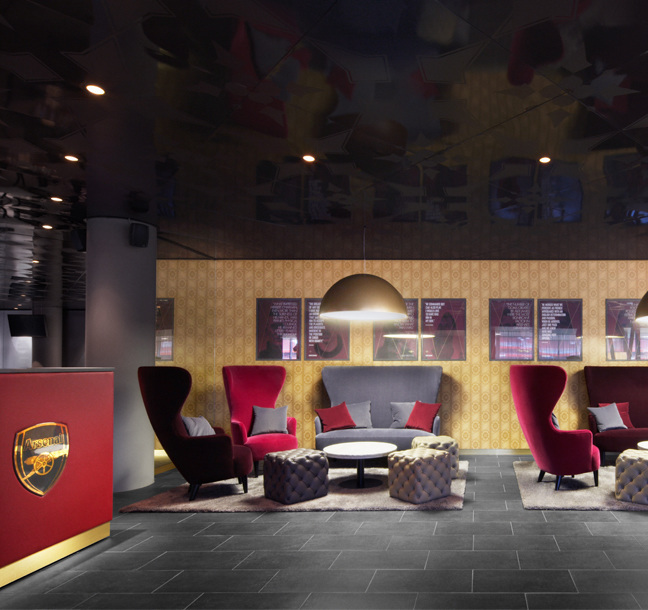 Internal rebranding programme for the Emirates Stadium included several hospitality areas and the 'Arsenalisation' of the venue.